VITA YEAST is designed to be fed from birth through the weaned process. 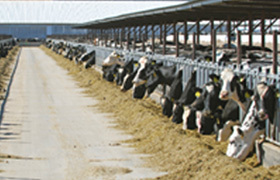 VITA YEAST contains supplemental levels of Vitamin B.
VITA YEAST will cause young calves to start eating grain sooner and older calves to consume more grain. VITA YEAST improves grain consumption and weight gains. VITA YEAST results in fewer anemia and scour problems. 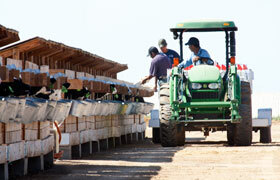 VITA YEAST improves color and consistency of manure. VITA YEAST eases weaning stress. 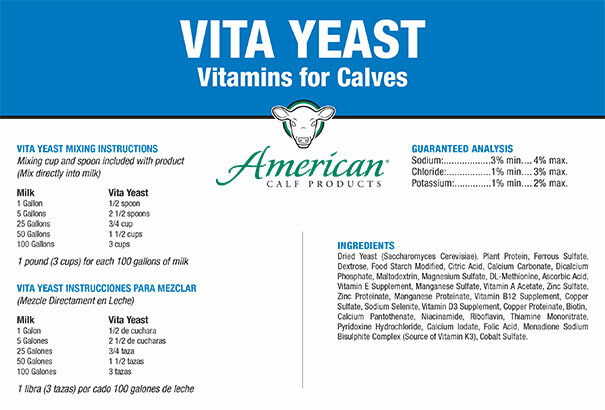 VITA YEAST supplements milk with amino acids and vitamins that are essential for calves.